Wow! You did a great job with this! The woodgrain and the shadows and reflected light... and the blend of colors... wow! Wow, Debra! What a great texture effect! 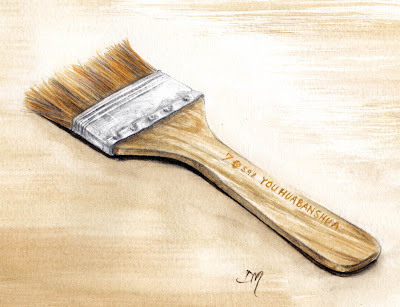 This brush is so "alive"...superbly done, Debra. I agree with the above comments. Beautifully rendered brush, especially the handle.